I first saw this recipe in food lovers magazine that covered about Ebony Restaurant, Bangalore. The article featured some of the best mudaliar community family recipes. The Mudaliar community from the Arcot district of Tamil Nadu have a long and delicious culinary tradition. They established roots in places as far flung as Rangoon, Mallaca and Sholapur. They originally made this dish with goat meat on the bone, that would serve the Mudaliar families well on their long travels. The chops turn out really tender, juicy and fall of the bone. Here is how to do mutton chops. Grind the ginger and garlic with water to a paste. Mix all the ingredients under marination, ginger garlic paste and water in a bowl. 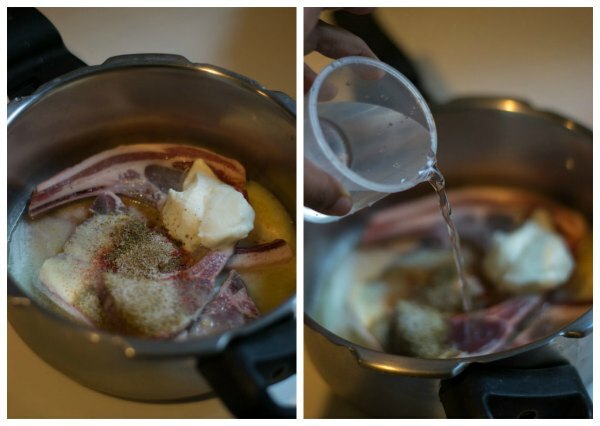 Add in the trimmed lamb chops, marinate for 30 minutes. 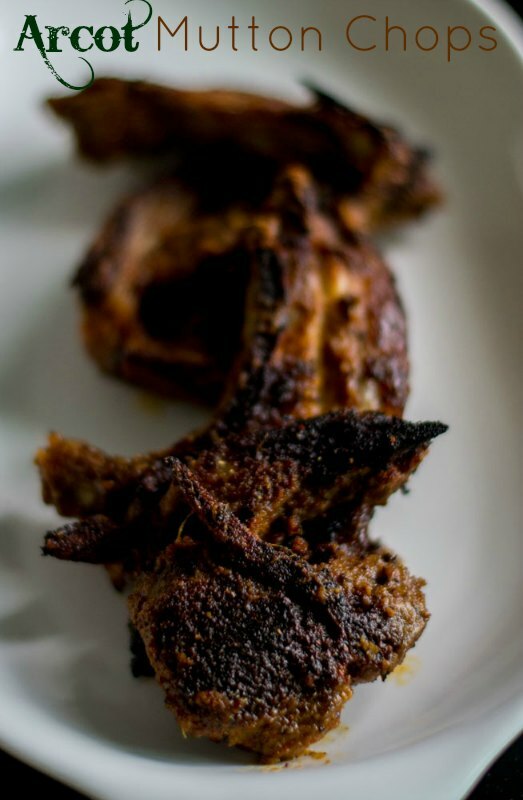 In a pressure cooker, add the marinated lamb chops and cook it slowly on a low flame for 10 whistles until well done and the meat is almost falling off the bone. Once the lamb is cooked, remove the chops and keep aside to cool. 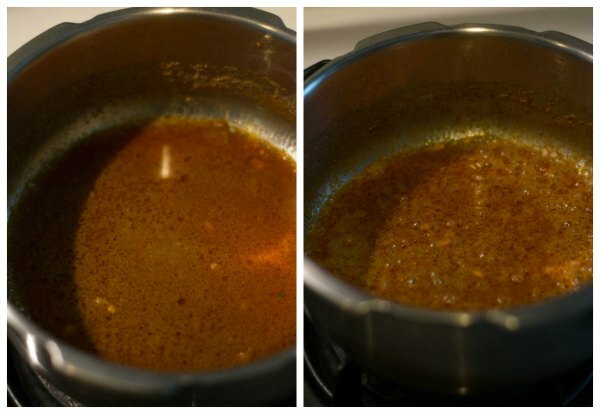 Reduce the remaining liquid in the cooker to form a thick sauce. 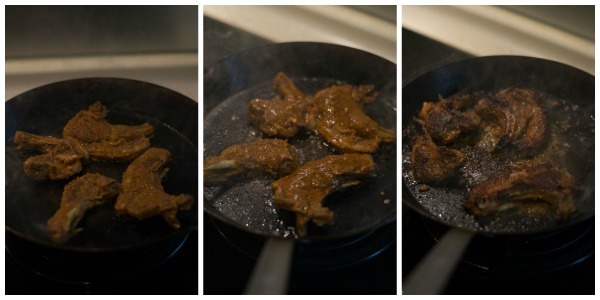 Just before serving, grill the lamb chops on a hot griddle with some ghee, basting generously with the reduced sauce. 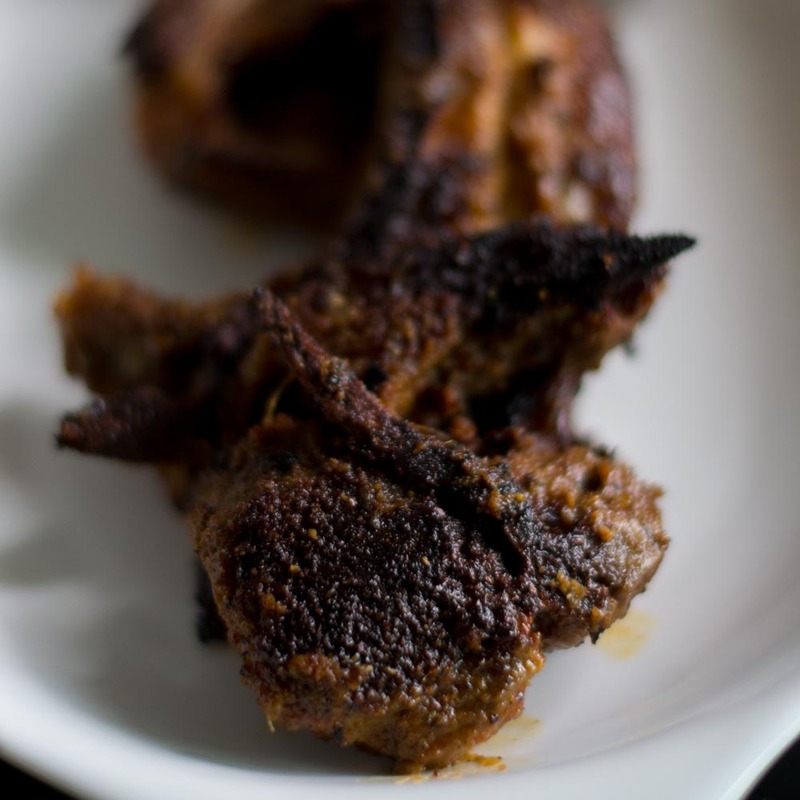 Tamilnadu Arcot style Mutton chops masala dry roast recipe. with step by step pictures. Hi Suguna ..I saw your mutton chops recipe and am planning to make it soon. 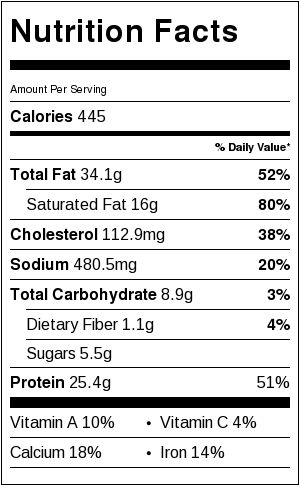 I have a question.. One of the ingredients in recipe is garam masala. I understand that each region in India has its own unique garam masala. Since this recipe is unique to Mudaliar community, which garam masala should one use ? I live in Pune ..either you could advise which brand to buy or how to make at home..
Hi Prasad, You can really use any store bought garam masala as its only 1/2 a teaspoon. I like Sakthi brand garam masala. 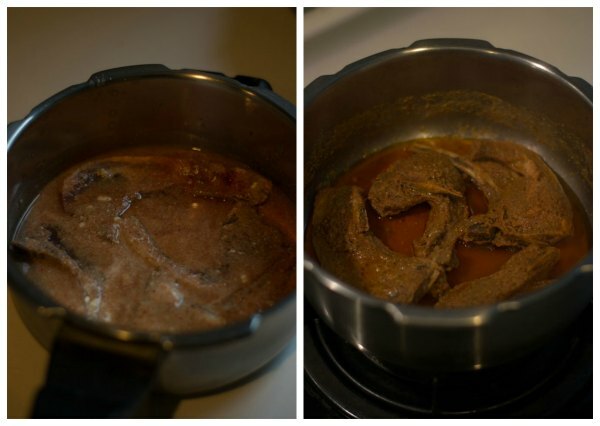 The most simplest mutton recipe with awesome taste. Made my day! Thanks for the recipe. பார்க்க அழகாக உள்ளது…. செய்ய முயல்வேன்…. அபிகோகுலன் ….